Working with so many new yoga teachers, I have had many questions lately about subbing yoga classes. Why would you want to sub? How do you go about subbing a yoga class? What do you do when you sub a yoga class? Why Would You Want to Sub? Subbing a yoga class can boost your career as a yoga studio in more than one way. You have the opportunity to build a relationship with a new studio (or organization). Not only are they testing you out, but you also discover whether or not your teaching style aligns with their mission. You also get the opportunity to meet new students and will naturally start to build a following. Even though you would never solicit these new students while you are subbing, the students will remember you and look forward to other opportunities to take your classes. Let's not forget that when you are subbing someone else's yoga class, you are growing as an instructor. You are gaining one more teaching hour and every one of your teaching hours matters very much. You get to practice writing a class sequence and then teaching it. You are enjoying an opportunity to work with different bodies and notice how they respond to your cues. You get to learn from these observations and make subtle shifts in the way that you teach different poses and the words that you choose when teaching. You get to practice writing a class sequence and then teaching it. You are enjoying an opportunity to work with different bodies and notice how they respond to your cues. Another big benefit of subbing a yoga class is that it is often the first step into landing a weekly class on the schedule. Most people want to find out how you mesh with their community and learn more about your teaching style before they commit to giving you a recurring weekly class. This doesn't mean you've somehow failed if you sub for awhile and don't get offered a weekly class. 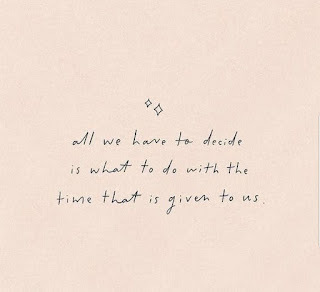 It isn't so much about judging whether or not you are good or bad, but it has more to do with identifying the type of class that you would be best suited for and whether or not they have a need for that at the moment. Quick story. I remember at my studio, we had one phenomenal sub who I would have loved to have on the schedule weekly. It didn't work out that I was able to offer her a weekly class though because her teaching style was power flow all the way and we had more of a beginners community. With an ashtanga class on the schedule already along with my three power flows, there was not a need for another. How Do You Go About Subbing a Yoga Class? How you get on a sub list depends on where you want to sub. Let's start with studios. If you want to sub at a studio, you need to first know the studio. As a studio owner, I can tell you that this is very important. I cannot tell you how many people who never even came to the studio sent me facebook messages or emails looking for employment. They never taught at my studio. 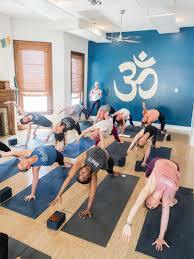 Yoga studios are all about community and studio owners have to protect the community. It does not matter what a wonderful yoga teacher someone is if they don't have the community's best interest at heart. The best way to know the studio and the community is to visit the studio. Take a few classes. You need to speak with the person who hires yoga teachers. In studios, it's likely the owner unless it is a larger studio with a manager. You can ask the front desk staff who hires and when they will be in the studio. I think it's best to go meet this person face-to-face. Warmly and authentically introduce yourself and express your interest in getting on the sub list. They may or may not schedule an interview and an audition. If they interview you, whether its formal or not, it is important that you know yourself. Knowing yourself means knowing your own teaching style. When you are asked, "what do you enjoy teaching? ", an answer like, "everything" is not what the interviewer is looking for. Even though it is probably true and we all love teaching everything in yoga, that is not enough information for the interviewer to know how you would serve the studio community. An example of an answer with enough detail would be, "my classes are mostly slow flow. I like to hold the poses long enough to build some heat while maintaining a focus on the breath and keeping the emphasis on safe alignment." Another example of a detailed answer is, "my hatha classes are light-hearted. My classes aren't the kind that encourage silence. In fact, I laugh with my students often throughout the class. The emphasis is on accepting what we find on the mat with a sense of ease and self-love. I love teaching beginners and breaking down the poses in a way that is fun and welcoming to newbies." Another example of a detailed answer is, "my hatha classes are light-hearted. My classes aren't the kind that encourage silence. In fact, I laugh with my students often throughout the class. The emphasis is on accepting what we find on the mat with a sense of ease and self-love. I love teaching beginners and breaking down the poses in a way that is fun and welcoming to newbies." If you want to get on a sub list at a gym, that is typically a simpler process. You would just ask the front desk who makes the group fitness schedule and work to get in front of that person. Once you meet the right person, you provide your availability to sub and ask if they have room for anyone else on their sub lists. Many gyms have higher turnover rates and will likely be grateful for a new yoga teacher. 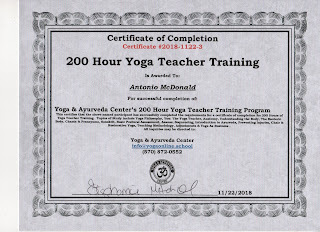 What Do You Do When You Sub a Yoga Class? Be yourself. You don't have to imitate what the regular instructor does. In fact, if you try to imitate someone else, the students will notice and it won't go over well. Be yourself. Nobody can be you better than you. It's a gift that only you possess and you are showing up to offer this gift to your students. Don't get me wrong, it is totally cool to find out what they normally do in that class and try to stay within the same general boundaries. For instance, if it is a non-flowing class, I wouldn't suggest you teach Vinyasa. If you have enough advance notice, you can always take the class and find out what they normally do so that you know a little about the students you will be teaching. This will make it easier for you to write your own class plan. Sometimes you don't have much notice when you sub a yoga class. When you walk into that room full of strangers, remember to teach to the room. I had a few class plans prepared for subbing unknown classes. Choose a class plan that plays it safe. If you notice the students seem to want more, you can always take it up a notch. Most importantly, relax. Be yourself. Smile and enjoy the experience. Follow up with the studio to thank them for the opportunity to sub and ask for feedback.